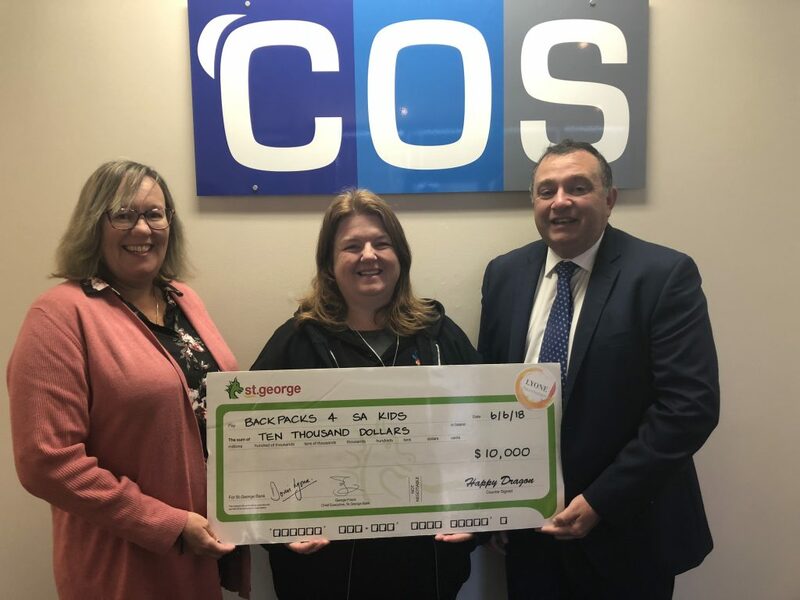 Recently, representatives from COS South Australia selected Backpacks 4 SA Kids as their local charity for 2018, donating $10,000 via the Lyone Foundation. Backpacks 4 Kids began with two young families who wanted to do something to help foster children. They started putting items together to give to children who, through no fault of their own, had been put in the situation of having to leave home and had no possessions to call their own. More friends and families started to join in and collect items to donate, and Backpacks 4 SA Kids was born. This wonderful charity has assisted over 18,000 children to date.